During your tour in the Philippines, you can plan a visit to the Camp John Hay. It is a natural tourist destination and the other name of the place is John Hay Air Station. This is a hill station that’s elevation is 5000 ft. Earlier, this place used to be a recreational place for the highly designated personnel of the United States Armed Forces and United States Department of Defense along with the United States Air Force. Scout Hill baseball field, Par-69 golf course, restaurants and shops are facilities that you can go to. The panoramic beauty of the place is definitely a treat to eyes and camera. Book perfect hotels in Baguio like Prestige Vacation Apartments - Bonbel Condominium, Baguio Crown Legacy Hotel and The Courtyards Goshen. Draft the best Baguio vacation packages using ideal templates offered by TripHobo. 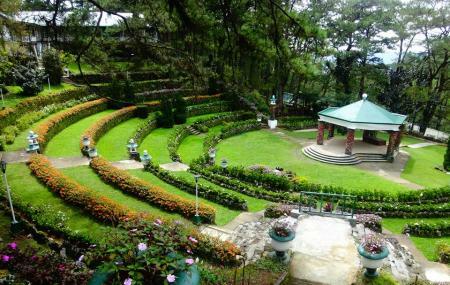 Also explore how to reach Baguio on the go! How popular is Camp John Hay? People normally club together Mount Pulag and Lion's Head while planning their visit to Camp John Hay.